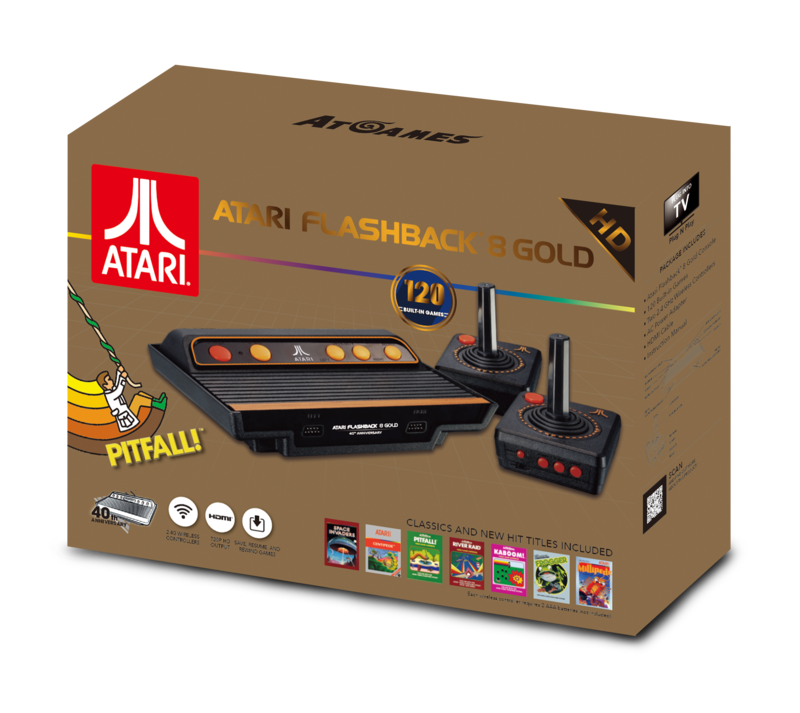 Atari Flashback® 8 GOLD classic game console with built-in 120 games. These games include iconic Atari 2600 classics like Missile Command ™, Asteroids ®, Centipede ™, as well as many other legends like Konami’s Frogger ™, and Activision’s Pitfall! ™ and River Raid ™. Save/ pause/ rewind every game. Comes with two 2.4G wireless controllers and supports HDMI output (720P HD display). HDMI cable included in the pack.